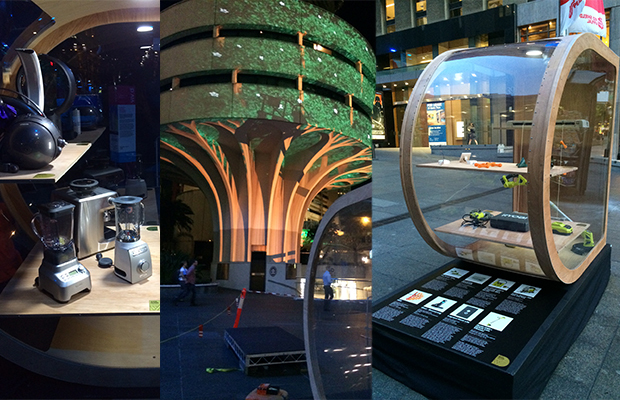 5th Dimension Design’s entry ‘The Green Wing” is on display in the Good Design Selection Showcase in Sydney’s popular Martin Place. The showcase starts today and runs to 9th June as an outdoor exhibition featuring the best in cutting edge design and innovation from Australia and the world. This is the first exhibition of its kind in Australia and showcases the latest in product design across 15 main categories. The Good Design Selection is a free event, open to the public during VIVID Sydney and includes everything from the latest domestic products, consumer electronics, medical equipment, sporting products, toys, business and industrial equipment, fashion accessories and everything in-between – this showcase of design brilliance is sure to have something for everyone. If you are in Sydney over the next couple of weeks check it out.